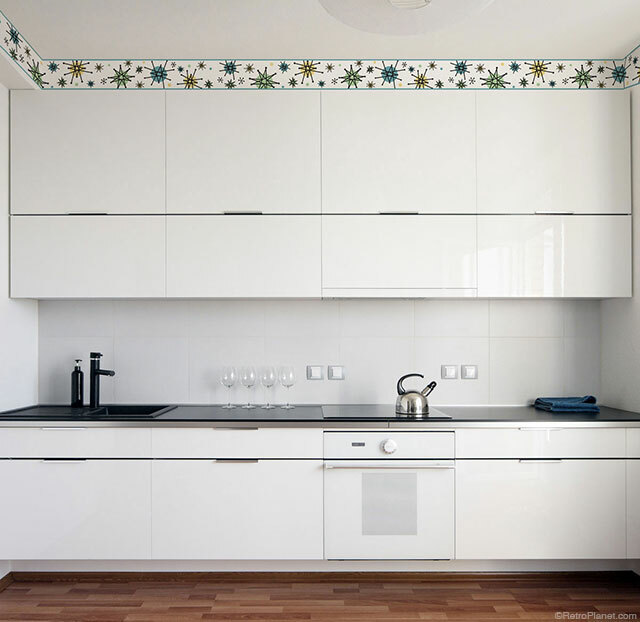 In addition to having an abundance of style, 50s decor has a clean look that is especially great when you’re looking for a fresh, new design aesthetic for your home. 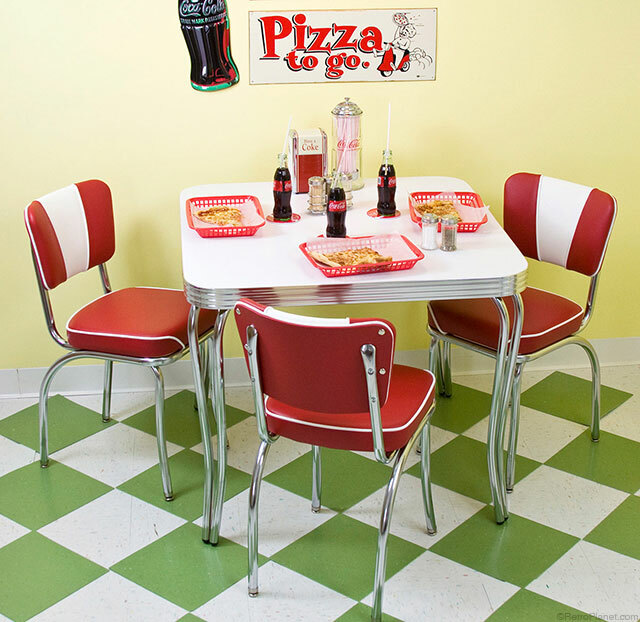 Here we present decorating ideas using retro home decor that you can find at RetroPlanet.com. This includes something for nearly every room in your home—your garage space, too. 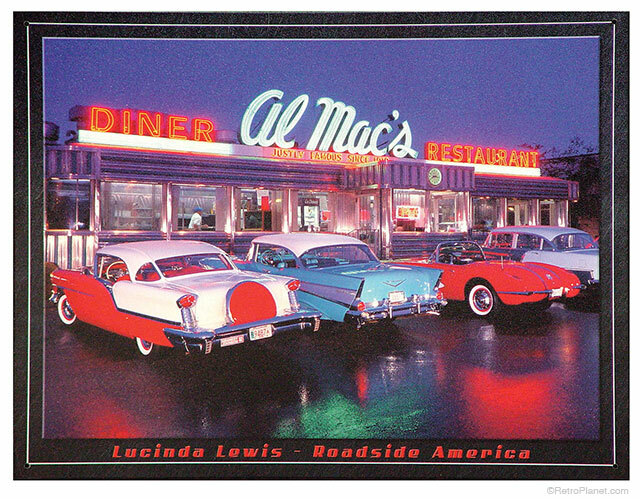 The Lucinda Lewis Roadside America sign features Al Mac’s Diner and Restaurant in Fall River, MA. Vintage cars fill the parking lot. Decorating in 50s style is hugely popular for its fun, retro qualities. 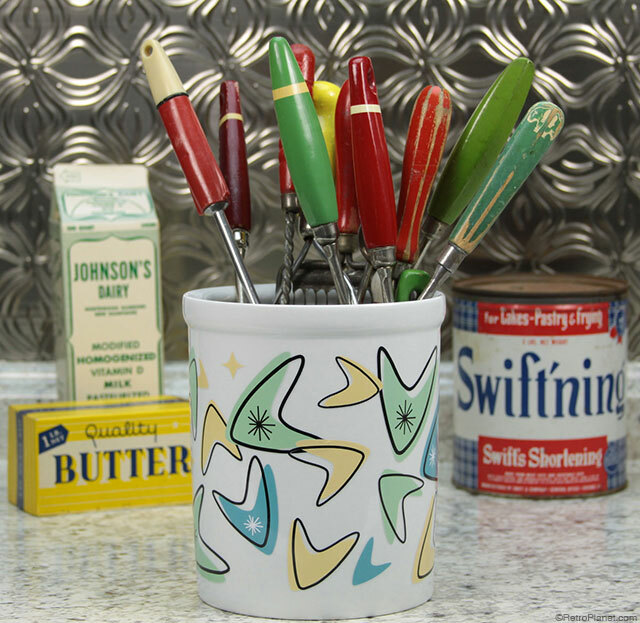 Fun relates to the great colors popular at the time—vibrant red and blue, coral, mint green and all types of pastels—as well as Atomic Age inspired shapes. The retro quality of 50s design means it has a reminiscent quality that brings many of us back to a very optimistic time in US history. The Atomic Age held the promise of scientific discoveries and new inventions. Even if you weren’t alive during the 50s, everyone is aware of what a fabulous time it was for fashion, design, space exploration—and let’s not forget drive-ins and diners! 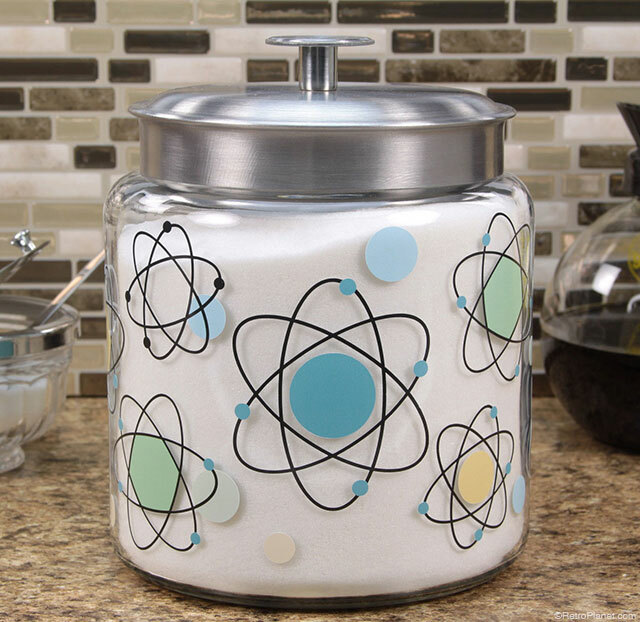 We love atomic design and have many products with this space age pattern. 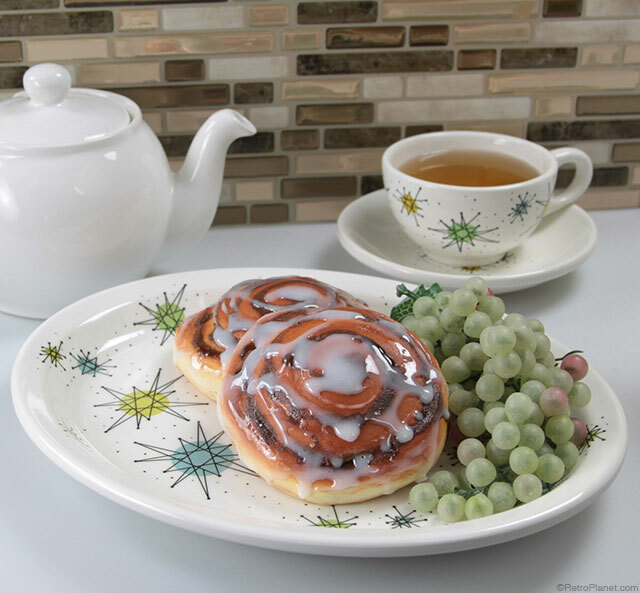 These include a gorgeous set of melamine dinnerware featuring an atomic starburst design to add to your table. Pieces available are a dinner plate, salad plate, a soup or cereal bowl, a serving bowl, cup and saucer and matching paper napkins, too. 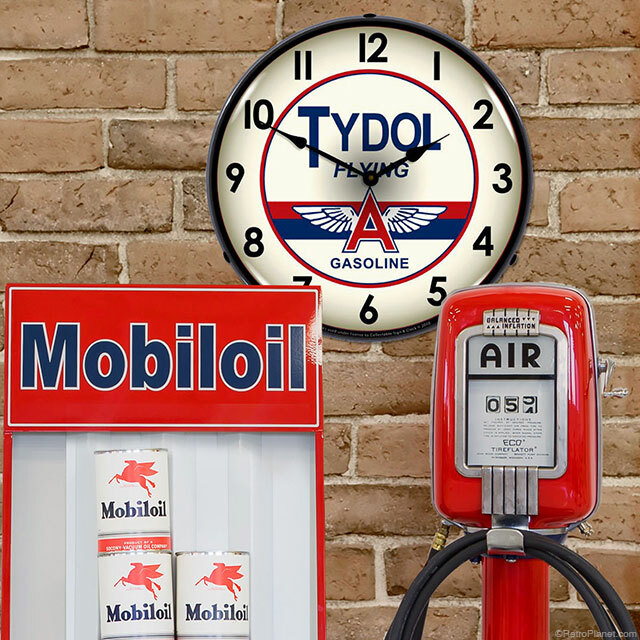 We also have an assortment of wall decals, including wall borders, allowing you to give any room a 50s look. 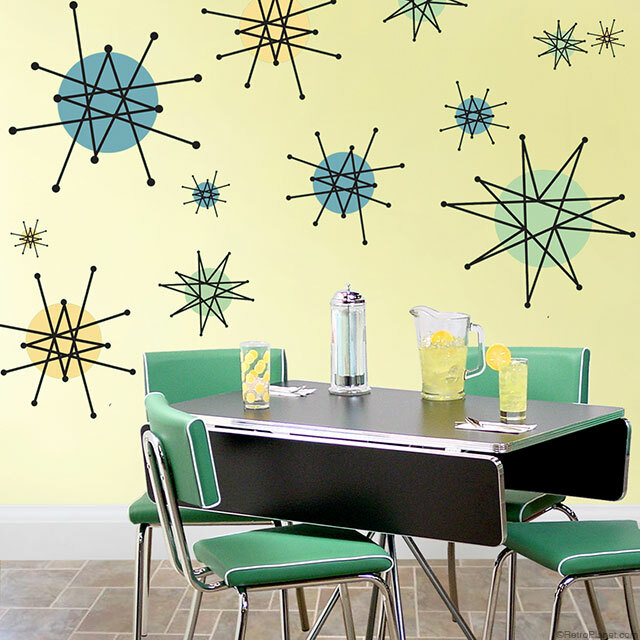 The Atomic Starburst wall decal border. This is an example of the Atomic Starburst wall decal border when installed. They’re easy to apply and easy to remove. 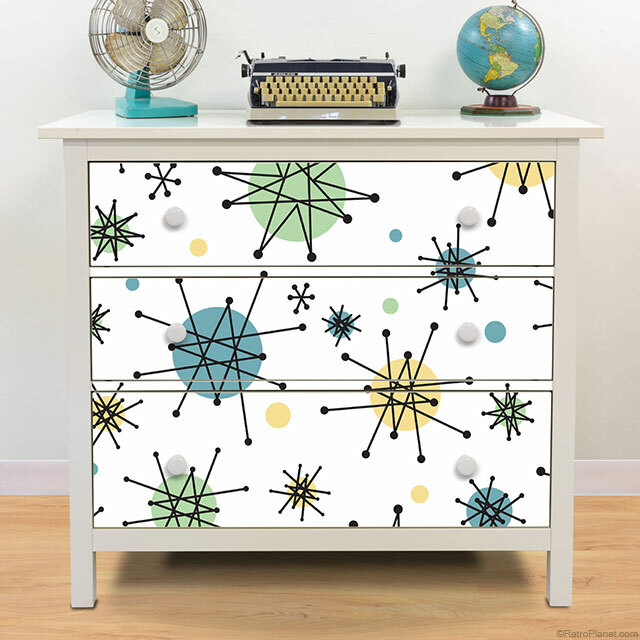 If you happen to own the HEMNES 3-drawer dresser, this decal set is a great way to add a 50s look to your decor. Additional kitchen accessories include salt and pepper shakers, a utensil crock, drink coasters, mugs, canisters, and napkin holders. These are all available in other fun space age patterns, including atomic boomerang and atomic symbol. 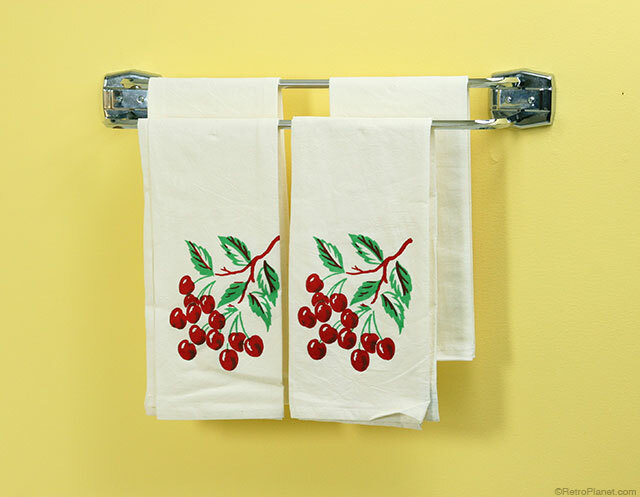 We also have reproduction kitchen linens, including beautiful cotton tablecloths, napkins and dishtowels, so you can really outfit your kitchen and complete the retro effect. 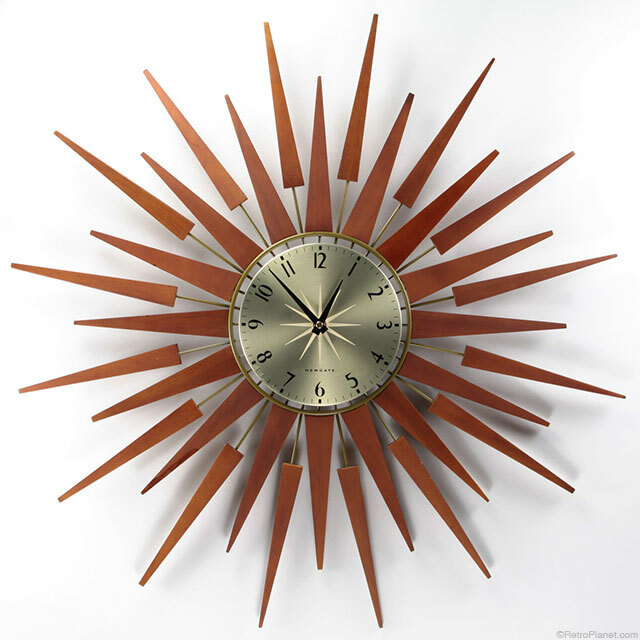 Clocks are great accent pieces for any room in your home. 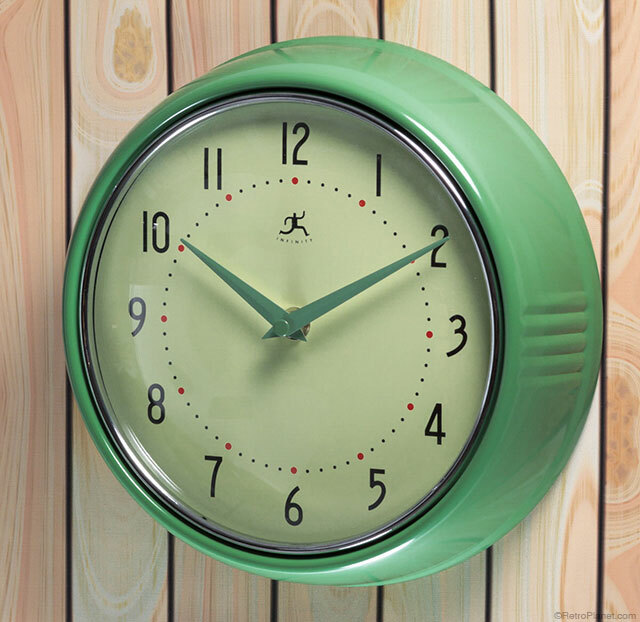 A retro style clock can bring a 50s vibe to your kitchen, living room, game room or garage. 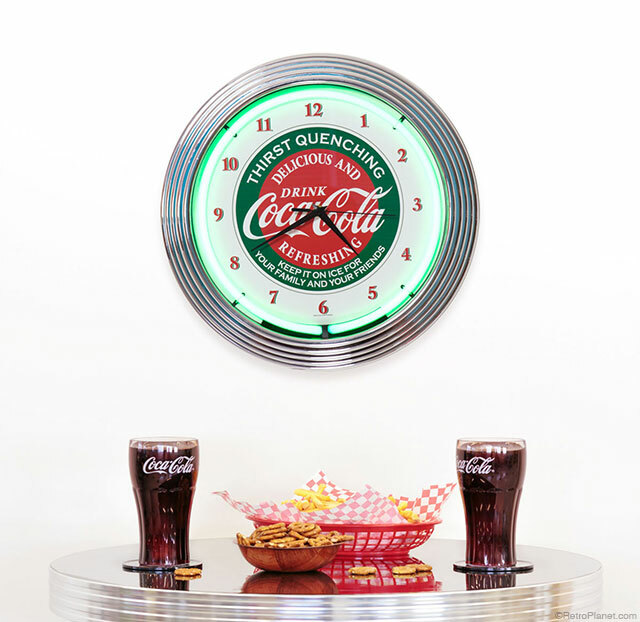 As you can see in the photos below, a variety of different 50s designs work in all types of rooms, whether it’s a George Nelson style clock, or a mid-century inspired neon style clock. 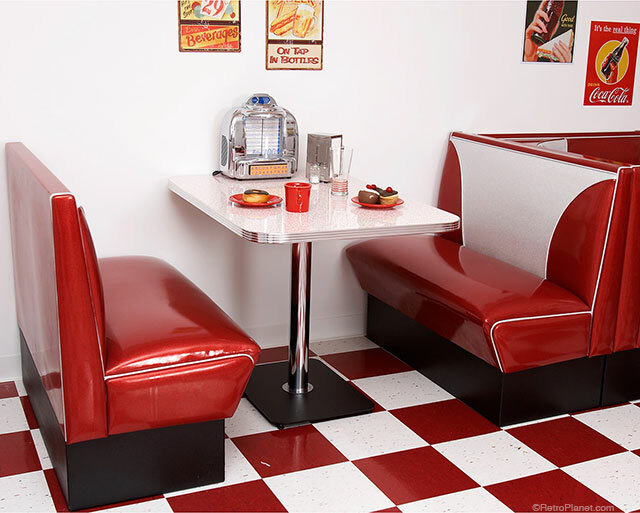 Of course the most iconic decor pieces from the 50s are the dinette set and diner booths—and we have those too! We know you will enjoy bringing these fun design elements into your home. If you’re looking for more blogs about decorating, we have many more with advice and ideas that you can find here: https://blog.retroplanet.com/category/retro-design/retro-decorating-ideas/. Let us know about your decorating projects and we’d love for you to share your pictures!